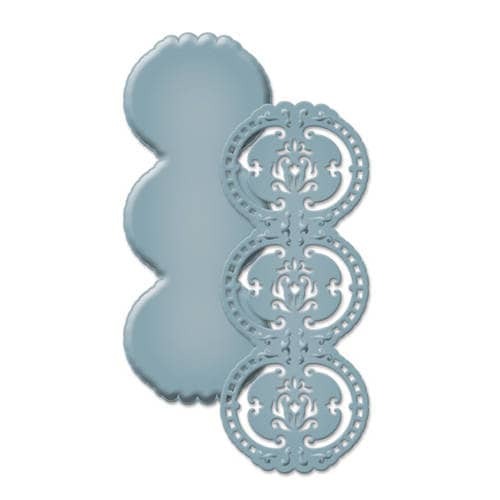 A row of three oval shapes with ornate designs with emboss and deboss details. What a stunning accent to your projects! Spellbinders® Shapeabilities® Decorative Strips cut, emboss and stencil with a single die template.